After last year’s Christmas Concert had to be postponed because of snow it was good to have pre-Christmas festive sounds ringing around the beautiful setting of lofty St Begh’s Priory. A packed audience was treated to a wonderful mix of Spirituals, Christmas songs, Carols and the talents of Gillian Rothery and Vanessa Cowley to lift their spirits even higher. The varied repertoire had something for everyone but without losing the theme of the evening. The Choir themselves were in fine voice with the balance of Tenors, Baritones and Basses better than ever. They captured the different mood of each piece effortlessly, from a pensive ‘Lord’s Prayer’ to a rousing ‘Sleigh Ride’, for which they were joined by the two soloists.Gillian gave us ‘Hark the Echoing Air’ by Purcell as her first piece and Vanessa ‘Rejoice Greatly, O Daughter of Zion’ by Handel. They later sang two lovely duets of ‘O Holy Night’ by Adolphe Adam and ‘Sound the Trumpet’ by Handel. Their third solo section had ‘The Carol of the Field Mice’ by Michael Head and finally ‘Have Yourself a Merry Little Christmas’ by Martin and Blaine which added to the mellow mood. The soloists were accompanied by the choirs Musical Director, Aileen Rule, whereas the choir themselves were accompanied by Joan Johnston, with their Deputy Musical Director, Peter Argyle, sharing the conducting.The concert rounded off with a jolly Christmas Medley which the audience were invited to join in, ending a thoroughly enjoyable evening and sending everyone out into the cold night with a warm glow of pleasure. This year’s eagerly awaited Christmas Celebration Concert will take place on Friday the 16th of December in St Begh’s Priory Church, Coach Road, Whitehaven commencing at 7:30pm. 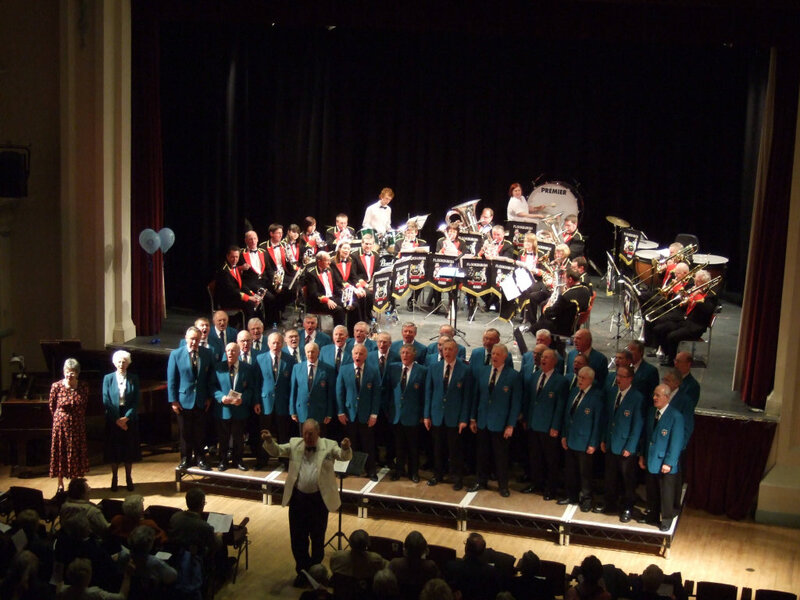 Proceeds from the concert will be donated to Hospice at Home West Cumbria. This year the Choir has not one, but two special guest soloists; Gillian Rothery and Vanessa Cowley. Tickets priced at £6.00 and (£5.00 concessions) are available from any choir member or via telephone from Don Messenger (Concert Secretary) on 01946 63452. The Choir are delighted to have been invited to perform at the Taste Cumbria Christmas Festival. 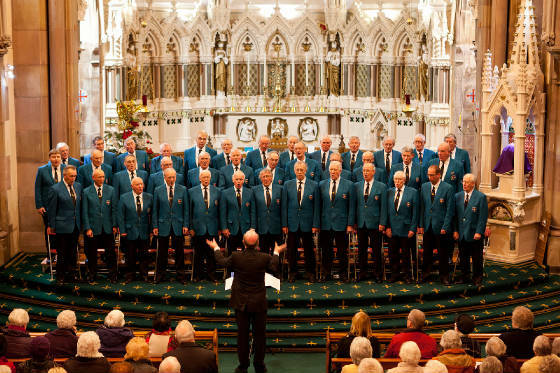 Every year the Choir nominate a local charity to be the beneficiary of the Christmas Celebration Concert and fundraising sing in Whitehaven’s Tesco and Morrisons superstores. The nominated charity for 2011 is Hospice at Home west Cumbria. Visit: www.hospiceathomewestcumbria.org.uk for more information. The Choir are delighted to announce details of this year’s Annual Concert, featuring Irish soprano Margaret Keys. 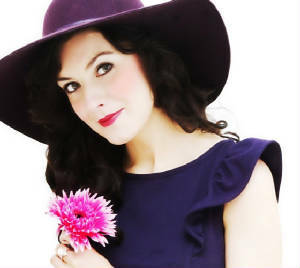 Margaret Keys is an Irish Classical crossover soprano from Derry, N. Ireland. She recently signed a record deal with Universal Records. She was a primary school teacher for four years in Ireland before taking a career break and entering the music industry. She has a Masters degree in Singing and Performance from the Royal Scottish Academy of Music and Drama. At the age of 15 Margaret was winner of the Trinity College of Music London Medal for the best overall performer in music examinations. Since graduating with a First Class Honours and a Masters degree in Vocal performance, from the Royal Scottish Academy Of Music and Drama, Margaret has sung extensively throughout Ireland, UK and America. She has performed on live broadcasts for RTE and BBC and has taken part in BBC programmes and workshops alongside top West End professionals. She worked with Sir Andrew Lloyd Weber, BBC New Talent, The RTE Concert Orchestra and Chorus and as a support artist to the Grammy award winning “Nordyls” ensemble. She has performed internationally in New York, San Francisco and New Zealand, where she performed at the prestigious “Rotorua Lakeside Concert” to an audience of 35,000. As a result of her successful international performances Margaret was invited to model designer dresses and fashion for New Zealand’s top selling magazine “Simply You Living.” She was also chosen as the “Face of the N. Ireland Arts Festival” in 2009 and 2010. Margaret has recently completed a tour of New Zealand, and released her debut album “Legato” internationally, which debuted at number 14 in the charts. She has also performed on the PBS American TV Special with “The Priests”, which was aired in the USA. In March this year Margaret performed in several LA theatres, headlining the concert “Ireland’s Favourite Stars” alongside America’s got Talent finalists. She also performed in several Broadway Evening Concerts with the San Antonio Symphony Orchestra. Margaret is now an ambassador for Derry, the UK City of Culture 2013. The concert commencing at 7:30pm, will be directed by the Choir’s Musical Director Mrs Aileen Rule, and Deputy Musical Director Peter Argyle with Mrs Joan Johnston accompanying the Choir and Marie Byrne accompanying Margaret Keys. Tickets priced at £8 and (£7 concessions) can be reserved by telephoning Don Messenger (Concert Secretary) on 01946 63452. The concert is now SOLD OUT. The Choir are delighted to announce the appointment of a new Deputy Musical Director, Peter Argyle. Peter grew up near Sheffield, Yorkshire. He trained as a teacher at St. Luke’s College, Exeter and holds the Diploma of Licentiate of Trinity College of Music, London. After a successful career as Head of Music in four different schools over a period of thirty five years, he took early retirement and moved with his wife to west Cumbria in 2005. Although essentially a pianist, he plays the organ at several local churches when help is required for weddings and funerals. His conducting experience has been gained through annual stage productions, Music Festivals and regular choral and orchestral concerts. 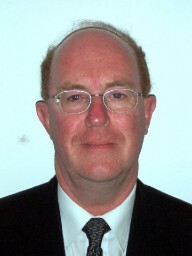 He has also been a member of several Choral societies, Church Choirs and Worcester Cathedral Voluntary Choir. 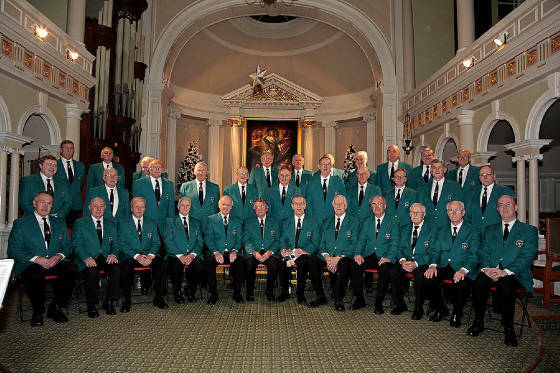 Peter joins the Male Voice Choir not only as its Deputy Musical Director but as a singing member in the Bass section. 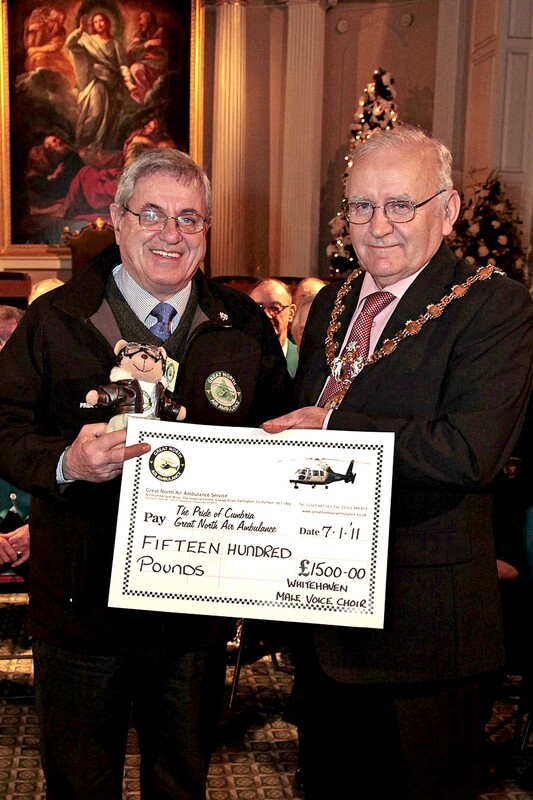 In January 2011 the Choir presented a cheque totaling £1500 to the Great North Air Ambulance Service. This money was from the proceeds of the Christmas Celebration Concert and singing in Morrisons and Tesco. This is only a small part of the money raised every year by the Choir for charities throughout Cumbria. Presented by the Mayor of Copeland councillor Mike Mc Veigh. 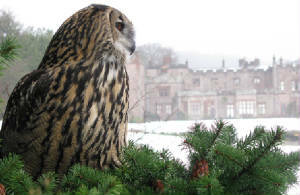 Due to the weather the Christmas Celebration Concert which was scheduled to take place on December 18th 2010 was postponed. It will now take place on Friday 7th January 2011 at St James’ Church. All tickets purchased for the December concert will be valid for the January concert.